With China pushing into a new era of industrialisation, chemicals and petrochemicals are especially affected. While the size of the sector is enormous, innovation ability, efficiency and integration is not quite often not on-par with the global competition. Can the ‘Made in China 2025’ herald a new dawn for Asia’s chemical and petrochemical industry? Chemicals and petrochemicals are a cornerstone of industrialized development. Within the last 25 years, China has become both a major producer and consumer of chemicals and petrochemicals. But is the country’s industry more than just big? Scientific and technological innovation ability is insufficient, industry experts believe. And there is still the space in deep integration of information and industrialization. 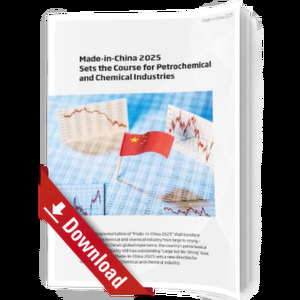 Reason enough for any chemical or petrochemical player in China to take a closer look at the concept of Made-in-China 2025. Our whitepaper takes a closer look at what the 4th industrial revolution has in store for Asia’s petrochemical and chemical companies. From industrial integration, production efficiency, sustainable growth and connected systems to innovative transformation, we examine what the 13th Fifth Year Plan has in store for the sector – and how companies can prepare for the changes ahead.